Artist, Ben Parker will demonstrate origami tessellations following the regular member’s business meeting at 6:30 on Wednesday, April 12. These meetings and demos are free and open to the public. 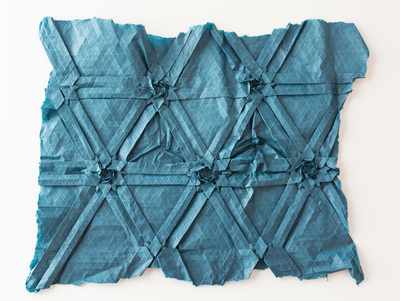 From Ben Parkers website: “The process of origami is bipartite: tactile and mathematical. As a folder, one has absolute control of the paper from the time a finger touches the edge to the time the thumbnail leaves the crease it just created. And often even then they are in contact with the paper. It is meditative.